The AAB family of products has expanded to fulfill all your academic testing needs! The AAB measures basic reading, maths, spelling, and reading comprehension quickly and thoroughly to get an accurate overview of an individual's academic skills. 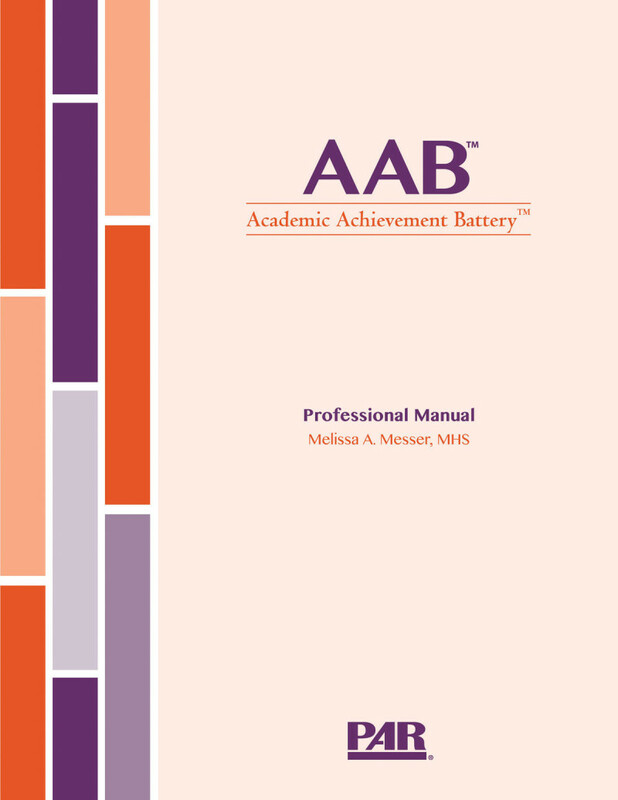 The AAB is ideal for evaluating fundamental academic skills during an initial evaluation, during reevaluation, or when working with those referred for learning, behavior, or vocational concerns. Suitable for 4 years to 85 years. Which version of AAB is right for me? 15-30 minutes to administer; 5-10 minutes to score.